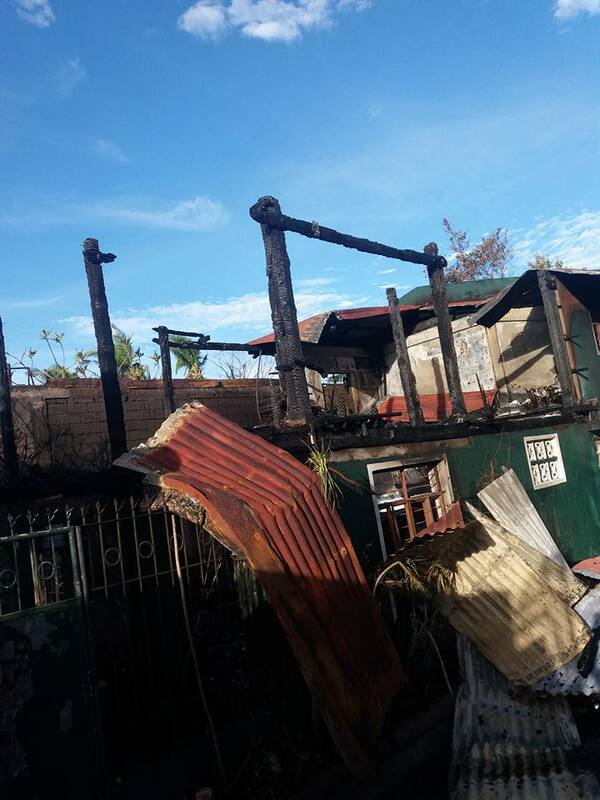 CAMALIGAN, Camarines Sur 12/31/16 (Bicol Standard) -- An ancestral house was razed to the ground after an unattended electric fan overheated and caught fire at Barangay Dugcal at around 7:50 p.m. Friday. In an interview with Bicol Standard this morning, Edna Collantes Fernandez clarified that contrary to other reports, no generator set exploded. There were also no other houses affected by the fire. Fernandez narrated that their clan was at the residence for a reunion. While in the middle of the celebration, her niece switched on an electric fan inside one of the rooms on the second floor. The electric fan was used to keep the pet cat cool. A few moments later, a helper pointed to the room, which was glowing brightly. They later discovered that the electric fan and the bed had already caught fire. They tried to put it out but could not control the growing flames. Fire officers from Naga City and Milaor were among the first to respond, she said. "Our house was spared by the typhoon, but was not saved in the fire," Fernandez lamented.